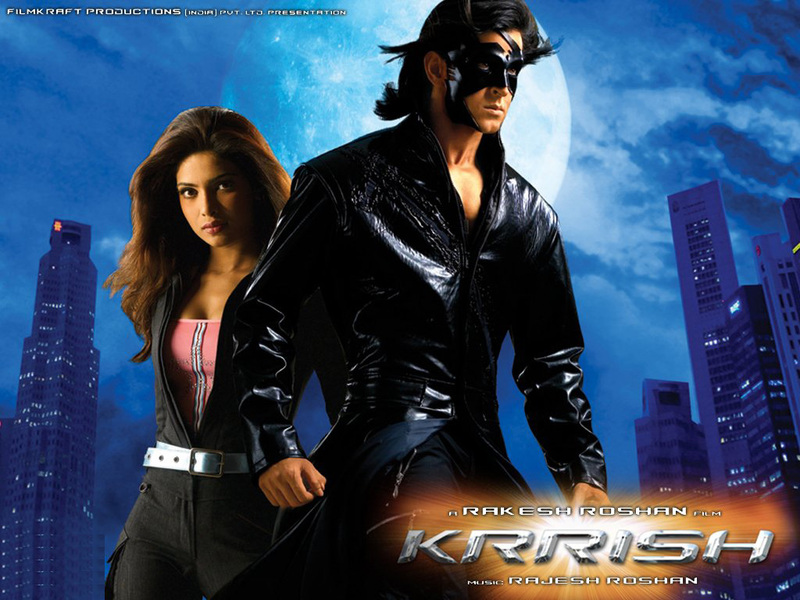 Here is the list of Bollywood’s best science fiction superhero movies.The list includes latest Bollywood science fiction movies and other Super hero movies released in several years. Some movies came up with an original concept while others partially inspired from Hollywood movies. 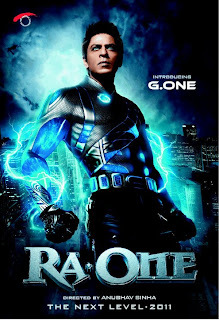 Shah Rukh Khan’s most ambitious project, released in year 2011.The movie hold the record of biggest marketing budget of around 52 crore.The movie released in both 2D and 3D versions.Ra one faced mixed reviews from the audience. The story is about Shekhar Subramanium (Shah Rukh Khan) who designs a virtual reality game in which the villain (Ra one) is more powerful than the hero.After the launch of this game,something seriously wrong happens with the Mainframe and Ra one step out of the game to life. 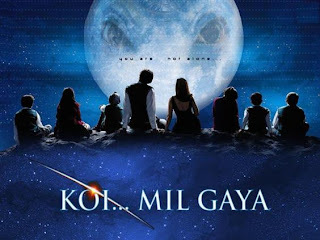 One of the most Favorited movie of child audience around the nation.The movie features Hrithik Roshan and Preity Zinta in lead roles.The story partially inspired by Steven Spielberg’s film 'E.T'. Dr. Sanjay Susra Mehra is a scientist who believes that aliens exists and in research of extraterrestrial life.he creates a computer which can send sound waves to planets and can communicate with aliens.Sanjay dies in an accident While returning home with his pregnant wife.His wife gives birth to a boy who is developmentally disabled.Her son Rohit Mehra has grown up and befriends with Nisha (Town Mayor's daughter).They found the old computer of his father and summon the aliens by accident. 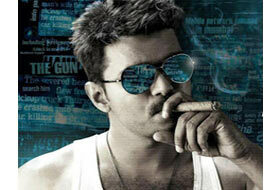 The most expensive movie made in India.The movie stars Super star Rajinikanth in lead role.The movie orginally made in Tamil by the name Endhiran and dubbed to Hindi.One of the Top 10 movies of Rajnikanth.The movie became the biggest blockbuster of that year and holds the record of highest-grossing Indian film till date. Dr. Vaseegaran (Rajinikanth) invents an android robot 'Chitti' which looks exactly like him.Vaseegaran gives him human emotions and the ability to make rational judgments.Later 'Chitti' falls in love with Vaseegaran's girl friend Sana. 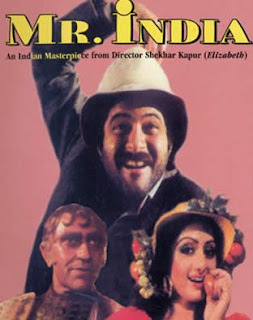 One of the must see Bollywood movies of 80's featuring Anil Kapoor,Sridevi and Amrish Puri in lead roles.Amrish Puri plays the Villain character Mogambo when then became very popular and found to be the best character did in his career.A sequel is planned this movie which going to be produced by Boney Kapoor . Arun Verma (Anil Kapoor)who has been looking after the orphans for years.But he is too poor to afford to pay the rent or to meet daily expenses.Professor Sinha shows him a device that will make in him invisible. The movie features Harman Baweja,Priyanka Chopra in lead roles.Love Story 2050 faced mixed reviews in box office. Dr. Yatinder Khanna's [Boman Irani] makes a time machine.In search of his love, Karan travels to future and landed into year 2050. 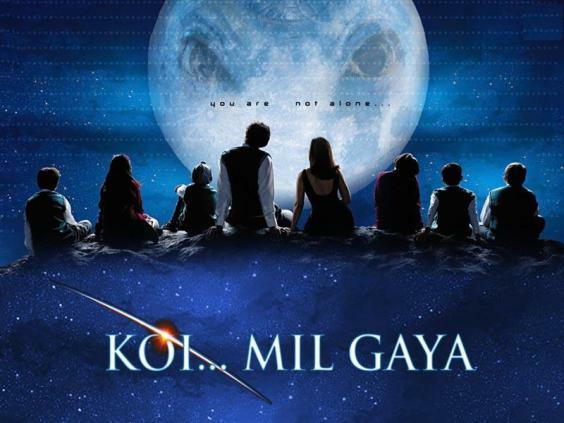 A sequel to Koi... Mil Gaya (2003).One of the Top 10 movies of Hrithik Roshan.This movie extends the story line where Koi... Mil Gaya ended.The movie features Hrithik Roshan,Priyanka Chopra in lead roles. Rohit Mehra working on the project for Dr. Siddhant Aryato.The project is about to build a super computer that can forecast the future.Rohit killed in an accident that happens in the manufacturing process.Rohit's wife, Nisha, gives birth to a son later named as Krishna.when Krishna grows up and shows extra super powers.